It's Time to UPGRADE! Bring your business into the 21st century and get all the tools you need to connect with your customers, be found, and make more money!! November 14 - 16 Detroit, MI and Webcast. Oct. 17, 2011 - PRLog -- Upgrade! 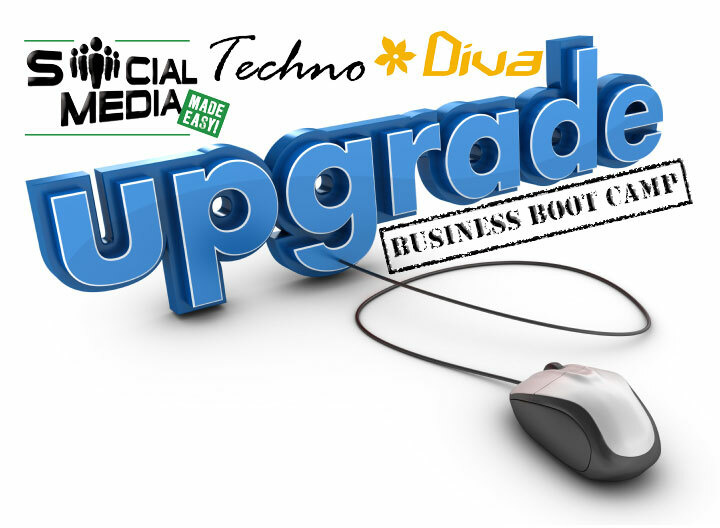 Business Boot Camp is a 3-Day intensive November 14, 15, 16 7p - 10p designed to empower small business owners to use technology and stay relevant in the modern marketplace and maximize earning potential for the 2011 Holiday Season, 2012 New Year Resolution season and beyond. Learn how to use Social Media to connect with new & existing customers and generate more revenue! Why be tethered to a desk when you can do business on the go? learn how to take your business mobile and do business on the go! It's not enough to have a website you have to make sure you're "Google-able." Get to the top of the search engines and get found by customers looking for you! The event will be done Offline in Detroit, MI AND Webcast SIMULTANEOUSLY so reserve your space today! The First Workshop is free or do all 3 for only $40! TechnoDiva Training and Consulting assists entrepreneurs & small businesses leverage technology to make their business run SMARTER, efficiently and productively.